If you have been affected by an auto crash, you’re not alone. According to the National Safety Council, Americans sought medical treatment for an estimated 2,254,000 injuries related to car accidents during the first six months of 2015 alone. These numbers represent a 30 percent increase from 2014. Accident injuries are not inexpensive, unfortunately. The combined expenses (representing wage loss, employer costs, medical costs, property damage, and administrative costs) were estimated at $152 billion dollars. Suffering the trauma of a car accident is enough without having to worry about legal, financial, and insurance details. 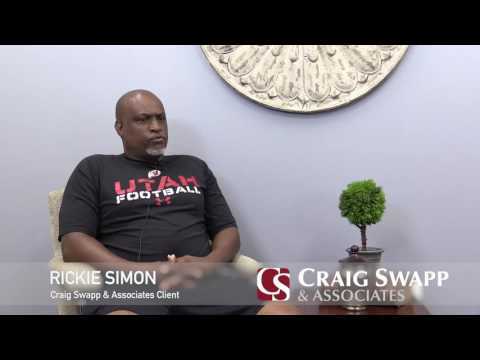 An Orem car accident lawyer from Craig Swapp & Associates can take some of the burden off of you and answer any questions you may have regarding your case. Even if you are reading this after you have already been in an accident, these tips can still help you avoid any future missteps. And even if you have failed to fully follow these guidelines, an Orem car accident lawyer from our office can still help you move forward in the best way possible. Call the Police – By law, you’ll need an accident report. The report is to your benefit, as it represents an account from a neutral third party. Be certain to point out to the officer how the other driver was at fault. Get Medical Attention – Even if you don’t feel much pain, you may still have a hairline fracture, broken ribs, or some other ailment that can escape immediate notice or worsen over time. It’s best to get yourself checked out to be safe. Be sure to go to any follow-up appointments your doctor asks you to make. If you don’t, missing appointments can be used against you later as proof that you weren’t really hurt or didn’t take your injury seriously. Don’t Admit Fault – Even if you feel that you were partially to blame, it’s important for you to speak with an attorney first. You may speak in error, and your initial words can be used against you. Over time, you may remember the events differently, or witnesses may have something to add. Exchange Contact Information – Take down every involved party’s name, address, phone number, and insurance information. Take Pictures of the Scene – These are for yourself and to share with your Orem car accident lawyer. Do not post them on social media or it may be used against you later. Take pictures of the scene, the vehicles, and anything that may have contributed to the accident. Talk to Witnesses – Try to get their contact information as well. Many people want to help after a misfortune. Accept their offers. Take Notes – Write down as much as you can about what happened as soon as possible. Important details include time of day, what lanes you and the other party were in, road conditions, and anything else that will paint a picture of the crash. Do Not Accept Any Deals on the Spot – Whether the insurance company offers you what sounds like a generous settlement or the person responsible for the crash offers to settle on the spot, you don’t want to make a decision you’ll regret later when you learn your trouble was worth more. Contact an Orem car accident lawyer from our office to learn how to protect and better serve yourself. If you were the only driver involved in a crash, you may not be to blame. Many times bad road maintenance and manufacturer or repair-shop mistakes are at fault. We can help you examine the details of your accident in order to determine who was really at fault for what happened. A surprising number of single-vehicle accidents turn out to be the fault of a third party, so don’t assume that you were 100 percent to blame for what occurred. Some of our clients have tried out other law firms first, only to find that they did not feel cared for. It’s important for an auto wreck attorney to keep their client up to date and to be available when they are called on. Some attorneys use a recorded answering service, and then just never get back to the caller. Too little interest and too much wait time can make injured car accident victims even more frustrated. They need someone to turn to. At Craig Swapp & Associates, members of our attentive staff are now available around the clock, day and night. When you take time out of your busy life to make a phone call to us, a live person will be picking up the line no matter when you decide to call. This new service was put in place after the realization that people can be harmed in a car accident at any time, and need to get help fast. You can count on our attorneys in Orem to be there for you and your family any time after an auto accident.